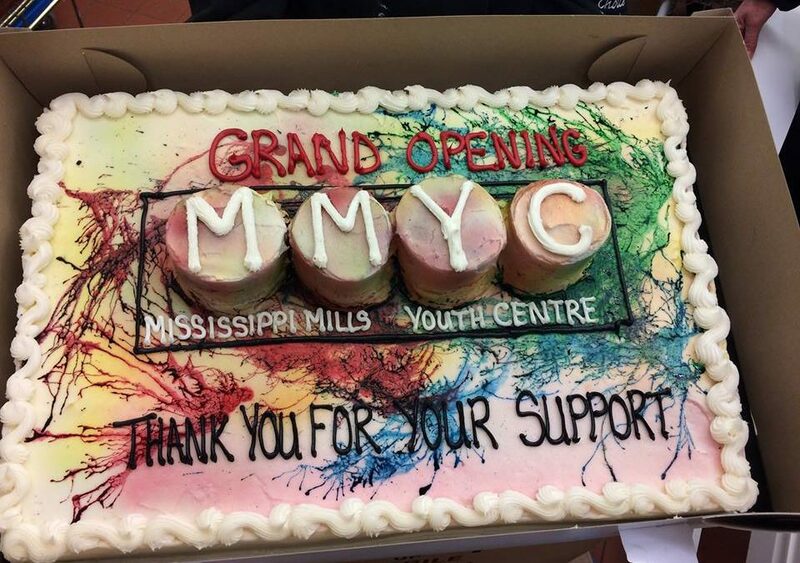 The Mississippi Mills Youth Centre is now officially open thanks to our community! What I love is that folks seem genuinely happy to see the return of a youth centre. Did you know that Keepsakes invited MMYC to wrap gifts (and accept donations) during the downtown Almonte holiday market? 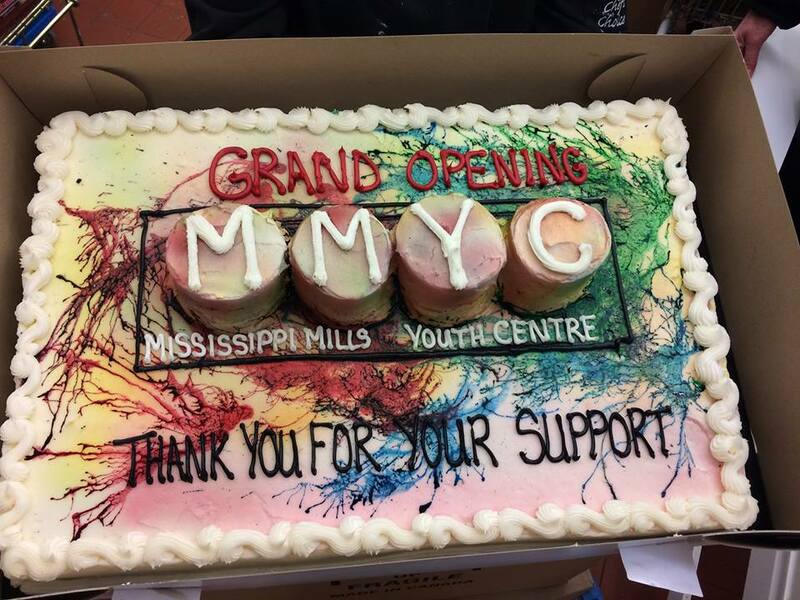 Did you know that MMYC was invited to operate the canteen at the recent David Francey concert? Did you know that all the proceeds from the Lynn Myles and Kelly Sloan on December 23 will go to MMYC? People want this centre to succeed, and are finding some great ways to show their support! You can cut your cake and play with it too! Just 2 years ago TYPS, a youth centre with more than 20 years of proving youth programs, abruptly closed its doors. This really took us all by surprise and left a pretty big hole in the community and we have been working hard in the last 2 years to fill the gap. 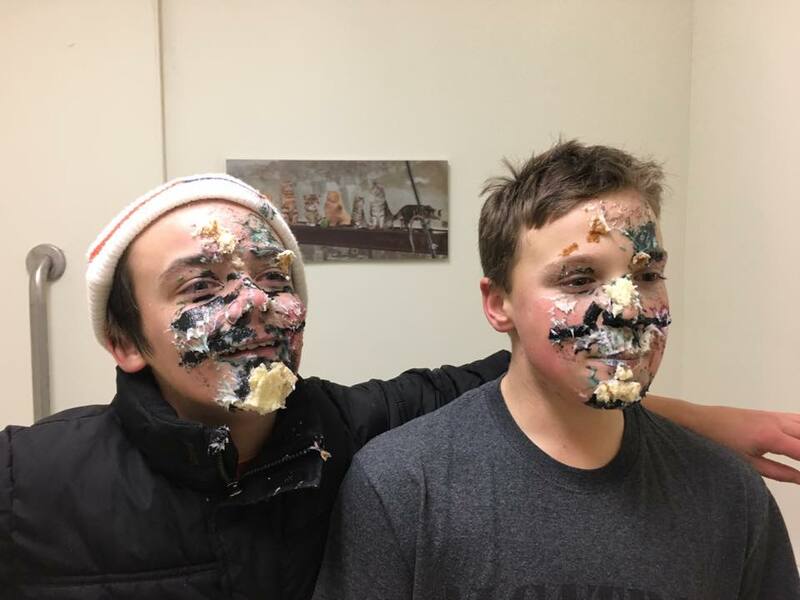 First to meet with youth to find out what they really wanted, and then we supported youth to have the same conversation with other youth to check that they got it right. And what do they want? We worked through 2 summers having a summer program at the curling club, and had so many partners in this – the Town, the other youth centres in Lanark County, and especially YAK in Perth, local service clubs like the United Way, The Mills, The Hub and the Civitan, local sports and recreation like lawn bowling, and tennis, local businesses like JB Arts, Almonte Potters Guild, and Patrices, and local mentors. Kids had fun, and the long-term goal of opening the youth centre was taking form. We hired terrific staff – Les Voakes as the Director and Sarah Lickey as the Programmer. 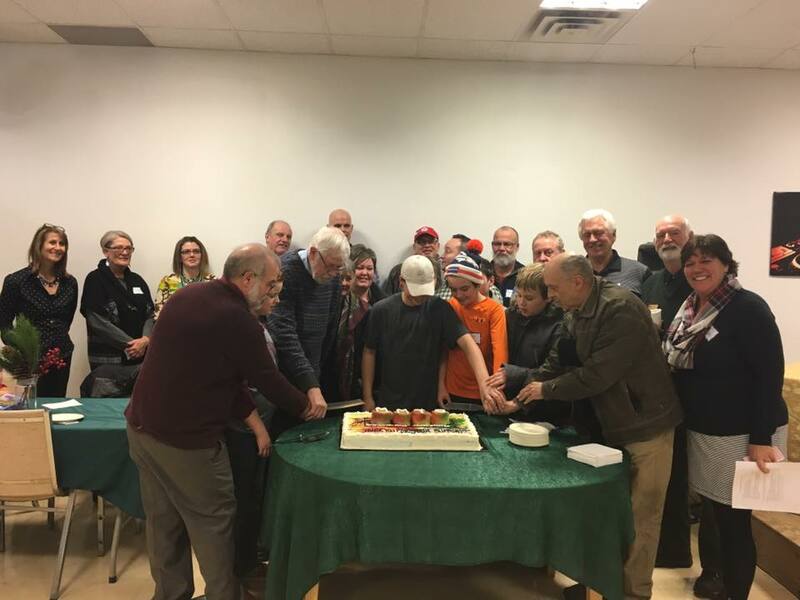 We have a founding Board of Directors who will now lead the MMYC to its first Annual General Meeting in early summer, including Jane Torrance, Judith March, Patrick Arbour, Jeff Mills, Fraser Scantelbury, Mary Ann Murray, Kevin Clouthier, Derek McLennaghan, Laura Guthrie, Jessica Cornford and David Bird. For now, MMYC is only open Wednesdays, Thursdays and Fridays because we are still in grant writing and fundraising mode. 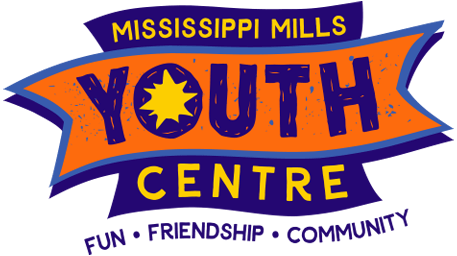 As MMYC grows, you can expect great youth and community programming, a job and volunteer board, accessible information about youth issues, and links to resources. The centre will also be the place for art, sports, music and games and everything in between. Drop by for homework help, for after-school program and for evening drop-in. We also hope that with the input of the community and youth, MMYC can create a social enterprise to fund the centre and provide skill building opportunities for youth. MMYC is a place where every young person is welcome, and a place where community spirit is alive and well! To get involved as a youth, volunteer, sponsor or partner, please contact us! Support the Youth Centre by attending this great Kelly Sloan and Lynn Miles concert!